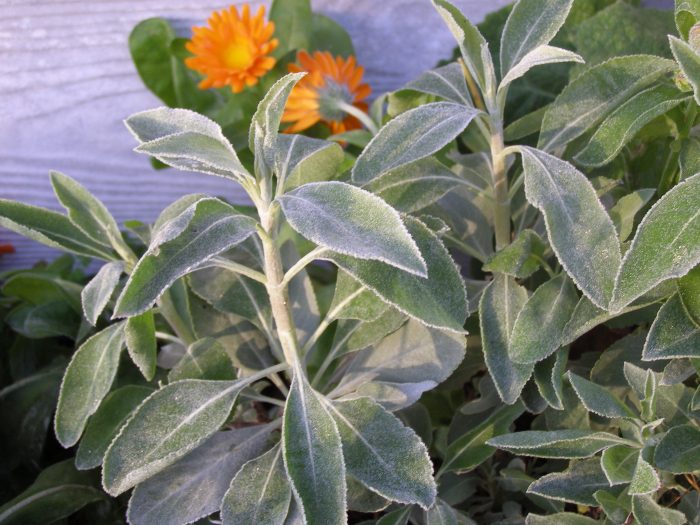 So, you’ve finally got your white sage plants, now what? Here are some guidelines that I perhaps should’ve thought of giving you before you got your plants or when you got your plants. OK, so, all of them have been hardened up, meaning they are used to the outdoor environment so don’t bring them and leave them inside your house. Whilst they’re in their pot, place them where you want to ideally plant them to see if they seem happy there. Sunny, dry with a bit of space (at least 60cm apart from other plants) is what you’re looking for. 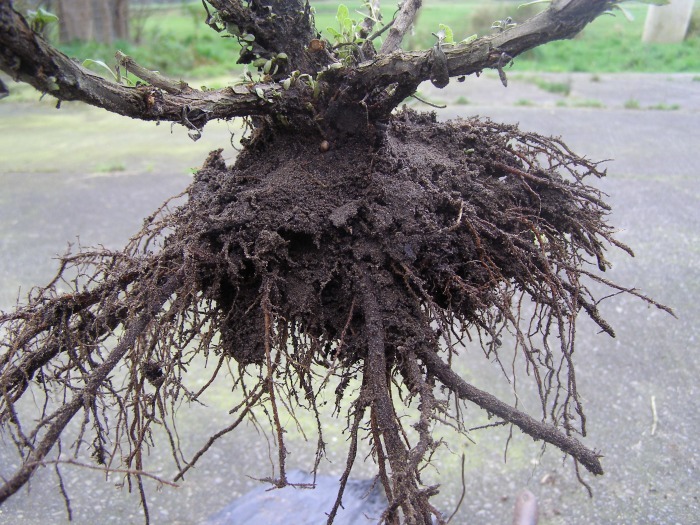 Or if they’re going to be staying in a pot you can re-pot them into a bigger pot now if you like, go here for re-potting guidance..
White sage (Salvia apiana) root structure. This plant was about two years old to give you an idea of how big a pot you will need eventually if container growing. If you would like, you can nip out the two teeny tiny leaves that are just emerging from the top, this will help your plant bush out. Regularly check your plant for aphids and small caterpillars, they love the stuff, squash on site. Here’s a post about aphids if you want to know more about the wee blighters. Observe your plant, they do prefer to be on the dry side but whilst they’re young they need a little bit more than when they are more established. So if you see the leaves slightly drooping; water. Now. Some of you are worrying about winter, really, this article is long overdue. You see a lot of us get our information from the big ol world wide web, like, right now! But a lot of articles are written in the Northern Hemisphere and they have a very different climate. For one, our sun is a lot harsher. A lot of plants are actually better off growing in part shade (like basil) than full blown sun that is recommended, so take that in mind if you notice any of your plants that look a bit sunburnt. Also it snows in a lot of places which means you may be getting information that isn’t relevant to your climate zone. 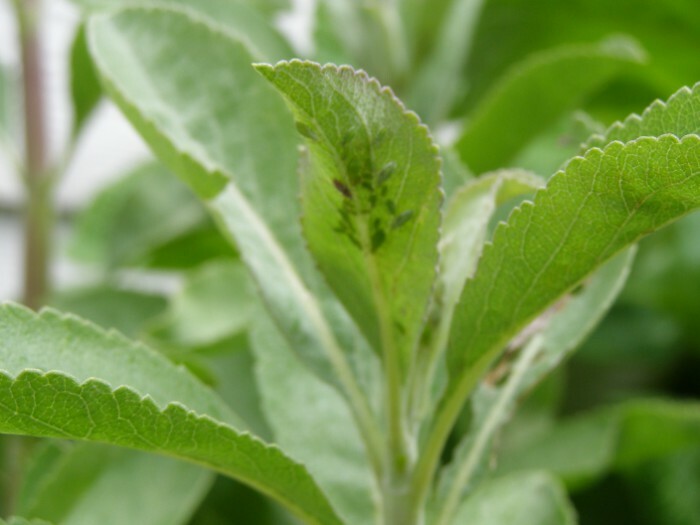 I’ve been growing white sage in quite a lot of different climate zones in New Zealand and my observation has been that Salvia apiana is a very hardy plant. We’re in Eketahuna here and it is cold, we got some knarly frosts last winter and all my white sage plants frankly looked beautiful for it. Those leaves are stiff and sturdy, they’re not prone to frost burn. If your plants are in pots by all means move them to a more sheltered spot and/or cover your plants with frost cloth if you’re nervous. Like succulents and cacti though, during winter I would hardly water my white sage plants at all. (Just as a note, planting your white sage with succulents or cacti is a good idea, looks nice and similar watering needs). That’s all I can think of right now. If you have anymore handy hints please comment below for everyone to see. If you have a question, use the comment section as well, because if you’re asking someone is probably wondering as well!